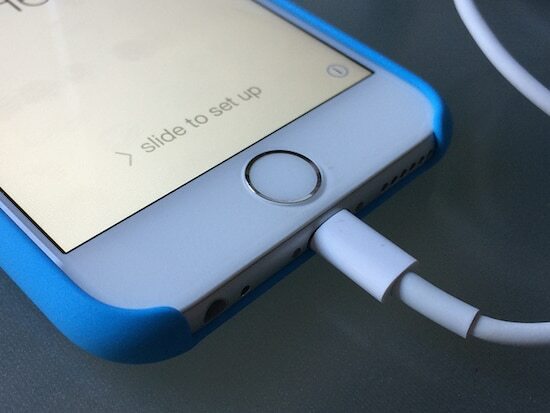 Recent rumors suggest that the iPhone 6 will have a USB lightning cable that is reversible at both ends. Final plans for this cable were announced by Apple in the middle of August but it is widely expected that this will be launched with the iPhone 6 (or shortly thereafter) in mid September. The existing lightning cable that was launched with the iPhone 5 can already be plugged into the iPhone either way but with the rumored new cable it will not matter which end of the cable is used. This is made possible through the use of a floating center, rather than using pins that are fixed down either side. This will give users much more flexibility both when attaching the lightning cable to their iPhone and to their PC or laptop. The main advantage of using a cable of this kind is that it is far easier to connect the iPhone to a computer. This is something that most users will need to do at some point, especially if they want to back up their photos to their computer’s hard drive, or want to connect their phone to iTunes. The floating center means that the cable can be inserted straight into the USB port, without the user having to make sure that the cable is the right way up. This will be particularly useful for users with PCs that have the USB ports at the back. 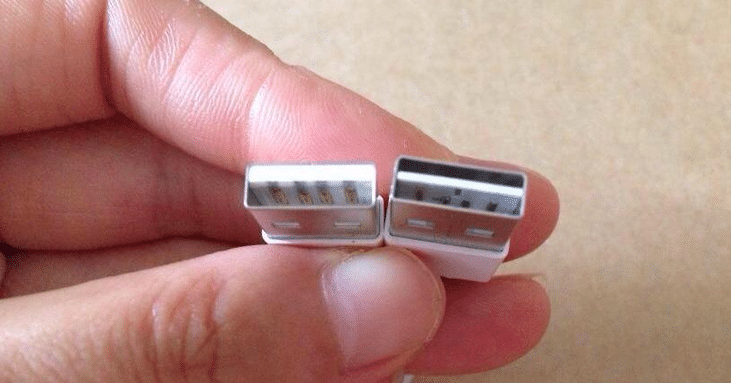 Further rumors suggest that the earphones that are supplied with the iPhone 6 will also have this type of cable instead of a standard headphone jack. The lightning cable could support HD audio which means users will get a superior sound when listening to music or watching videos through their headphones. With more and more people storing the majority of their music collection on their iPhones, and/or streaming music through apps such as Spotify, the need for better quality sound is certainly there and is likely to be something that Apple want to work on. If the launch of the reversible lightning cable and headphones can connect to the iPhone through its charging port, then other devices that connect to the phone in this way are sure to follow. There is the potential for a whole new set of devices to be developed that can make use of this technology. It’s usually not long after a new iPhone is released, that accessories start to become available and the ability to make use of the reversible lightning cable will greatly increase the amount of accessories that may hitting our shelves in the near future. As with most other rumors that are circulating regarding the iPhone 6, nothing has been officially confirmed or denied by Apple and this is likely to remain the case until the handset is officially released. This rumor differs slightly from others in that pictures have been released of the new cable, although not by Apple themselves, suggesting that the development of these cables has already been completed and they are ready to be launched as soon as possible.